The Keto diet is everywhere right now. Celebrities, bloggers, and health practitioners have been touting it’s benefits, but what is it and is it right for you? What Is The Keto Diet? Why Follow It? The Keto (or Ketogenic) diet is a low carb (or carbohydrate), moderate protein, high fat diet which puts your body into a nutritional state of ketosis. * This means that your body uses fat for energy instead of using glucose from carbs. While in ketosis, your body is better able to burn fat, lose weight, and you have increased energy and focus. Following a keto diet can help with blood sugar regulation, weight loss, hormone regulation, epilepsy, brain disorders, problems with mental focus, blood work irregularities, and more. We started following a keto diet to help with my son’s autism and epilepsy. Almost immediately, however, we noticed that it was also helping me with my hormone imbalances and Hashimoto’s. We were hooked! How much protein/fat/carbs should i eat? People with neurological issues usually follow a lower-carb keto diet, ranging from 20 to 30 net carbs a day. 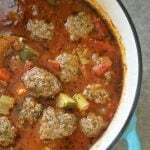 Those who have hormonal, thyroid, or adrenal fatigue issues (just to name a few) often fare better on a higher-carb keto diet, ranging from 50 to 70 net carbs a day, because it causes less stress on their body and their delicate hormonal system. Following a higher-carb Keto diet enables you to incorporate some healthy starches, such as rice and potatoes, known as “cyclical ketogenic practice” or “carb ups”. When following a cyclical ketogenic plan, carb ups can be added anywhere from once a week to once a day. Doing this can help with sleep problems, binges, weight plateaus, hormones, and more. I personally do best with a carb up almost every day. Since everyone is different though, you’ll have to experiment to see what works best for you. To give you an idea of your specific macros, see my Keto Calculator! It will help give you a starting place of how many calories, carbs, proteins, and fats you should be eating. Fats burn slower than carbs do. This means that eating a high-fat low-carb diet will result in overall reduced hunger, making it easier to control cravings and lose weight. Keto can be used as natural treatment for neurological disorders. In fact, the Keto diet was initially invented as a way to control seizures in children! When the brain switches from using glucose to fat as a source of energy the body start to produce ketones, which in turn can help with brain function. We initially started the Keto diet as a way to control my son’s seizures. However, having a 13 yr-old boy who’s starving all the time on a Keto diet is hard – really hard!!! We could never be as strict as needed (20-30 net carbs a day) for a long enough period of time to keep him seizure free. Even though we couldn’t do 20 to 30 net carbs a day though, following a modified Keto diet ( 50 – 70 net carbs a day) still helps him tremendously and is the diet we currently follow. Following a Keto diet helps you get off of the blood sugar roller coaster. Instead of getting a sugar high after eating carbs then crashing, only to look for another sugar high, eating low-carb and high-fat results in more normalized blood sugar levels. Eating high-fat low-carb helps with insulin sensitivity. Insulin sensitivity is the opposite of insulin resistance, which is commonly linked to weight gain. Keto also helps control hunger and eliminates sugary sodas, cookies, breads, and like – which contribute to weight loss. Too many calories. Even though the Keto diet doesn’t consist of counting or restricting calories, they still matter!!! In general, high fat foods contain more calories than carby foods and proteins so you may be eating more calories than you realize when you start eating more fat. Too few calories. Just like eating too many calories can hinder fat loss, some people are surprised to know that eating too few calories can hinder fat loss as well! If you eat too few calories, your body may start using your lean mass to use as energy. When this happens, your metabolism slows down to keep your body running properly. Food sensitivities. Food sensitivities seem to be becoming more and more common. If you’re struggling to lose weight, or just feel off, you may need to get tested for food sensitivities or do an elimination diet. In addition to gluten, a common food sensitivity is dairy, especially on the Keto diet. In fact, Keto didn’t start working for me until I removed almost all dairy! Some common symptoms of a dairy sensitivity include eczema, acne, bloating, inflammation, sinus issues, and auto-immune problems. Excessive Exercise And Stress. Excessive exercise and high levels of stress can increase cortisol levels. Excess cortisol levels can cause weight gain (especially around the tummy!) and keeps your brain from getting the energy it needs. Keto is great for women and can go a long way toward helping to balance hormones. In fact, after going Keto I personally noticed a huge improvement in my hormones and Hashimotos! As a woman though, you have different hormones than men so you may need to do a higher carb or cyclical ketogenic diet (see the subheading above entitled “How Much Protein/Fat/Carbs Should I Eat?”) so you don’t add extra stress to your body and keep your hormones happy. 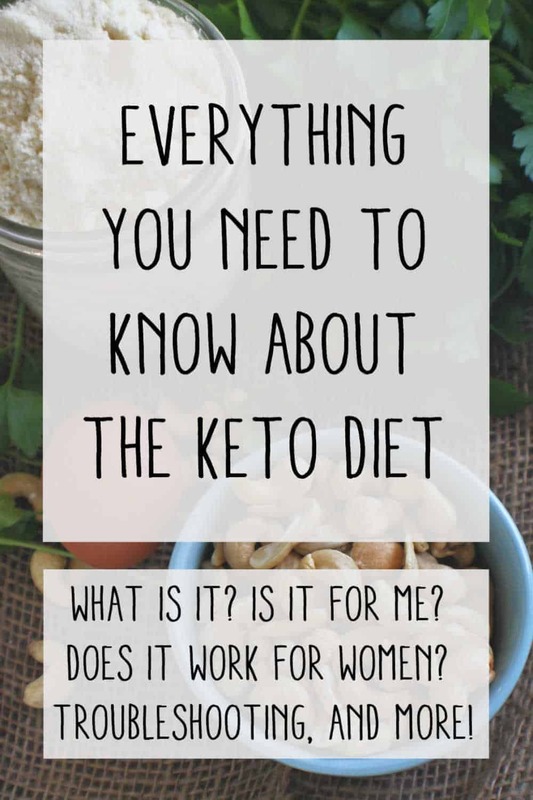 If you would like to know more about how Keto can help with hormones, I love this article from Leanne Vogul on The Ketogenic Diet And Women’s Hormones and her article on Keto For Women. If you’re eating more carbs than are needed for energy – regardless if they come from “healthy” carbs or “junk food” carbs – they are stored in the body as glycogen, and eventually, as triglycerides. High triglyceride levels are associated with many health problems such as high blood pressure, diabetes, and obesity. 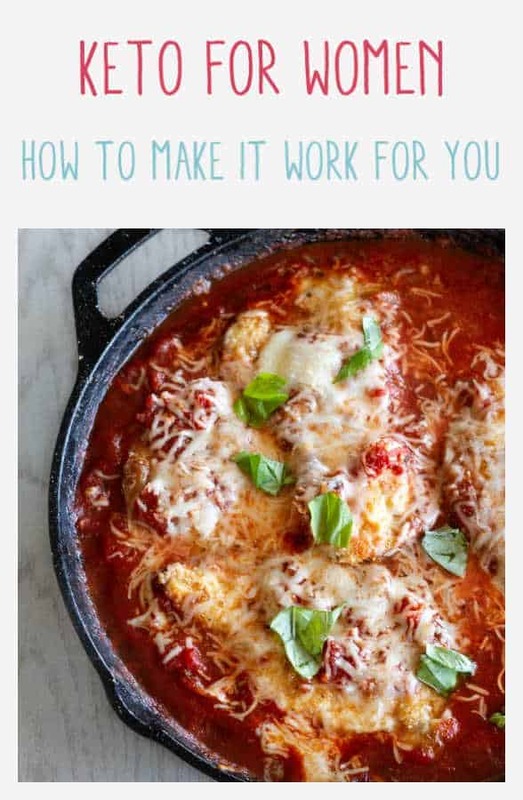 This provides me with added reason not over-feed my family with carbs – even if they are healthy! Not everyone experiences it, but in the early stage of Keto, some people experience a “Keto Flu” that can last anywhere from a couple of days to a few weeks. Symptoms can include foggy brain, shakiness, fatigue, cramping, nausea, muscle pains, and the like. This can be caused from your brain going through withdrawal symptoms because it’s no longer receiving the cookies, cakes, sugar, and sodas that it’s used to. It can also be caused by your brain trying to figure out to to use fat for energy instead of the carbs it’s used to using. Some ways to relieve the symptoms are by drinking LOTS of water, replenishing electrolytes, and adding real sea salt to your diet. When you enter Ketosis, the ketones can sometimes cause your breath to have a fruity or metallic smell and taste. This doesn’t happen to everyone and will go away once your body becomes used to eating low-carb. 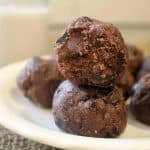 When you first start eating Keto, you may find yourself wanting to eat all the things!!! But don’t worry, after your body adjusts to your new way of eating your appetite will balance out. Many people even have a lower appetite and decreased cravings once they become accustomed to using fat for fuel. If you don’t have a gallbladder or have an upset stomach, start slowly to give your body time to adjust. If you need, you can add ox bile to help with digestion, along with B vitamins and a good digestive enzyme. 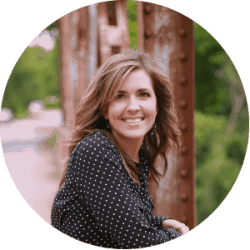 To learn more about Keto, especially for women or specific health problems, I highly recommend The Keto Bundle from Leanne at Healthful Pursuit. 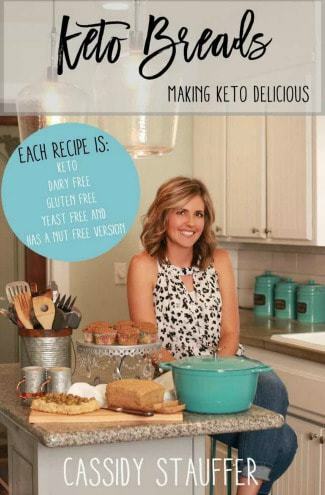 She outlines how to build a personalized Keto diet to balance your health and lose weight – complete with meal plans and recipes! *Nutritional ketosis is not the same as diabetic ketoacidosis, which is a dangerous condition which results in extremely high ketone and blood sugar levels. A person with a normally functioning pancreas would not be at risk for ketoacidosis.